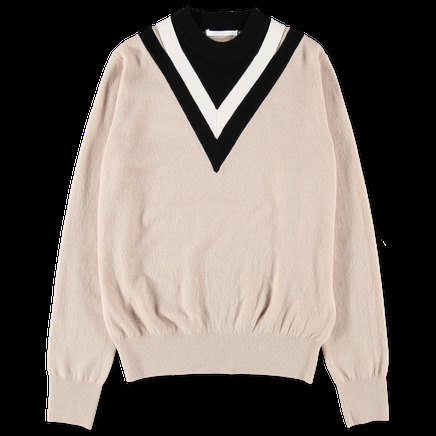 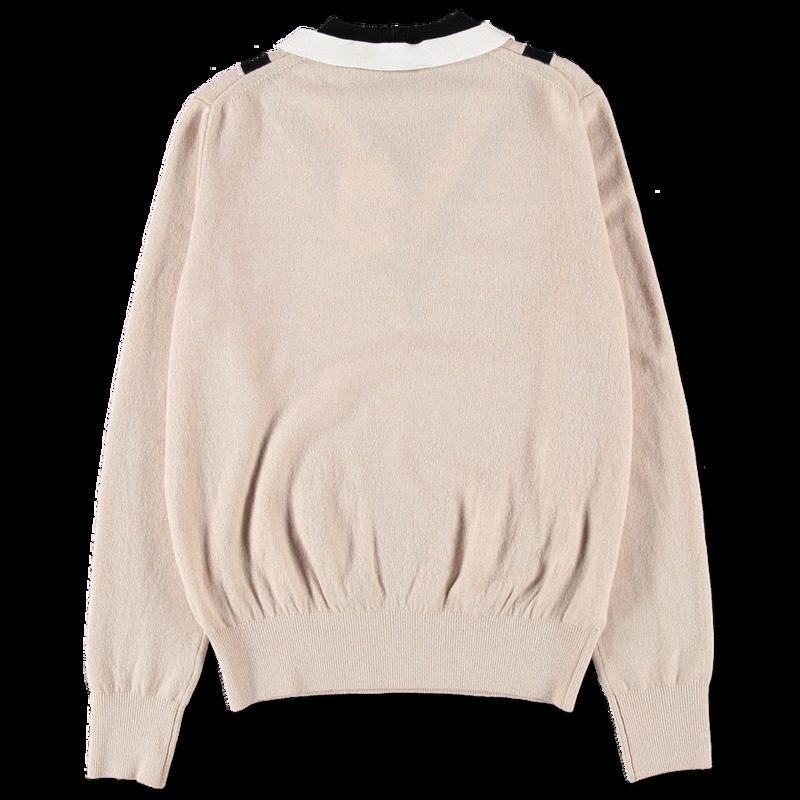 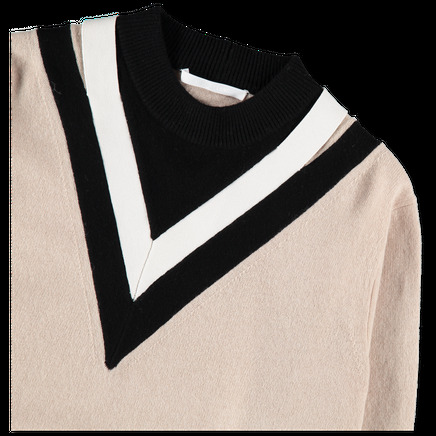 V Colourblock Pullover from Helmut Lang. This sweater features a ribbed crew neck and a decorative V neck in contrasting colors. 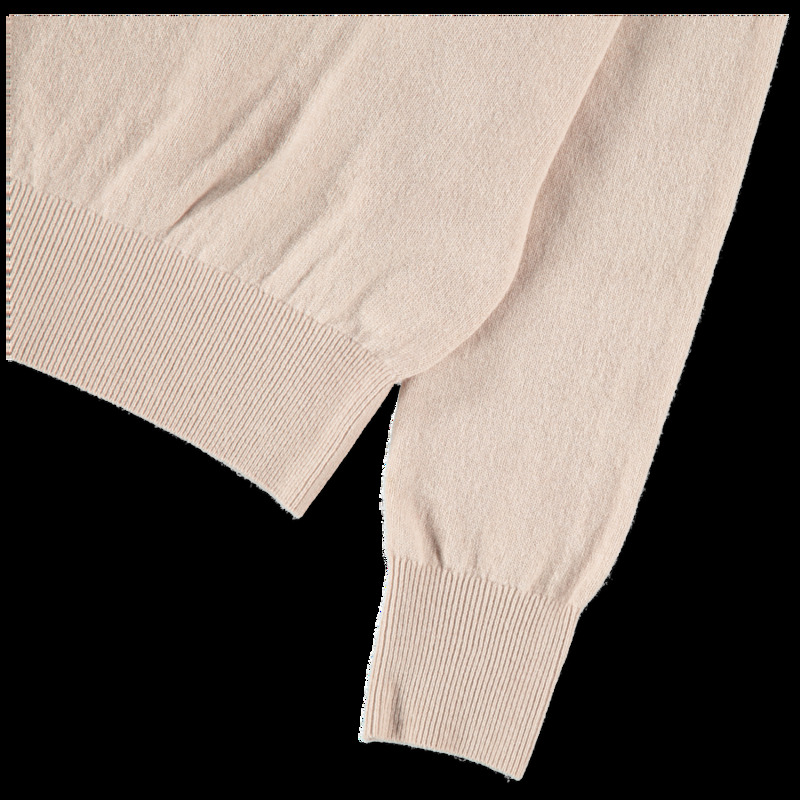 Ribbed cuffs and bottom hem. 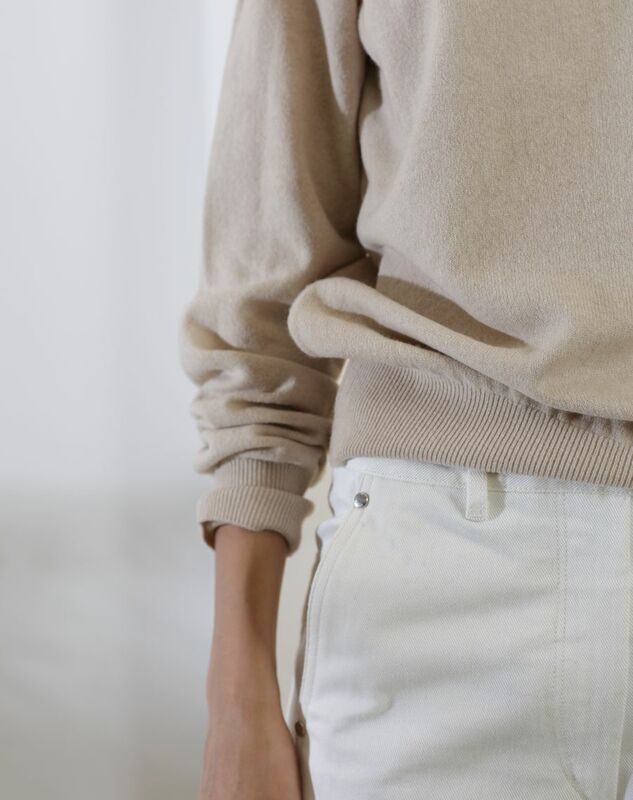 Relaxed long fit. 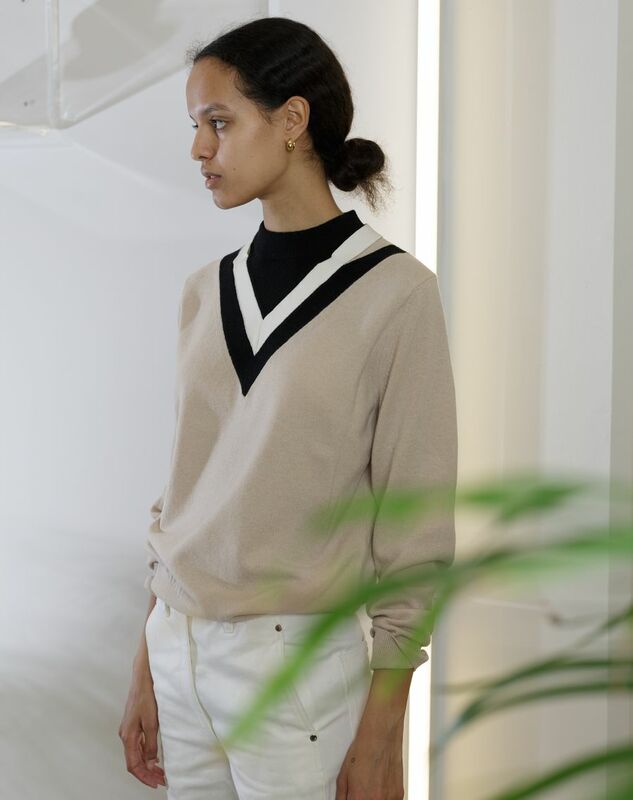 Worn here with pants from Lemaire, shoes from Converse PLAY and jewelry from Tom Wood which are sold separately. 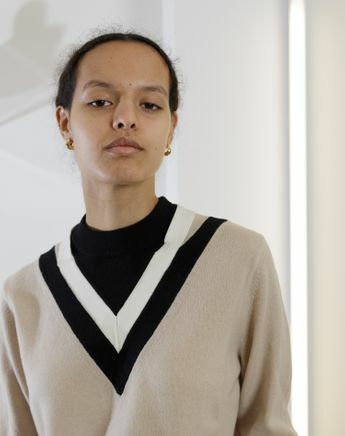 Model is 174 cm tall, measures 83 cm round bust, 86 cm round hips and wears a size Small.